A Heart Full Won’t Hurt You..! Another month is quickly coming to a close while we cruise thru this last week of September. I am constantly busy as I am sure you are. We officially said goodbye to Summer last week here in the US. Not quite so in Costa Rica. It is technically winter time now in Costa Rica and has been winter since around May. The seasons there mostly depend on how much rainfall the country has. There are not four seasons but only two…the dry season and the rainy season. This helps explain the amazing beauty you find in this country. The dry season is commonly known as summer and the rainy season represents winter. From about December until April, Costa Ricans treat this as their dry season or summer. Therefore May thru November is regarded as winter. This is all important because it determines the school year for the kids in Costa Rica. The Learning Center is no exception. In late November or early December, school will close for the summer. However, the schools are only closed for less than 3 months and usually restarts in February…still during the summer season. a) Our top-notch volunteer teaching staff is in place to take us to the finish line. b) Many of the older students are motivated and inspired to do very well so they can be considered for the two positions being set aside for the journey to the US and to the Emory & Henry College campus in June 2017.
c) There is still one Learning Center student remaining in the Spelling Bee Contest. Mariana has made it to the next round in the “Impromptu Speech” competition (part of the Spelling Bee competition). She must speak totally in English. The next round is scheduled for late October. If Mariana wins this upcoming round of the “Impromptu Speech” contest, she will compete at the National level and there will be many students who live in urban locations where English is more often spoken. By the way, Mariana is an AGB Scholarship recipient and we are very proud to have her representing us. d) We are looking forward to the Jefferson Elementary School K-Kids starting their Pen Pal relationship in the next week or two. e) We still have one key non-financial goal to achieve for 2016. The goal set the number of annual Blog site visits to 3,520 for a 10% increase in 2016. With the final three months to go, we are currently on pace to match last year’s total of 3,200 site visits. Although the goal is at risk of not being met, it is still very noteworthy that we have not lost any ground over the year. All other goals have been met especially the “financial” goals. 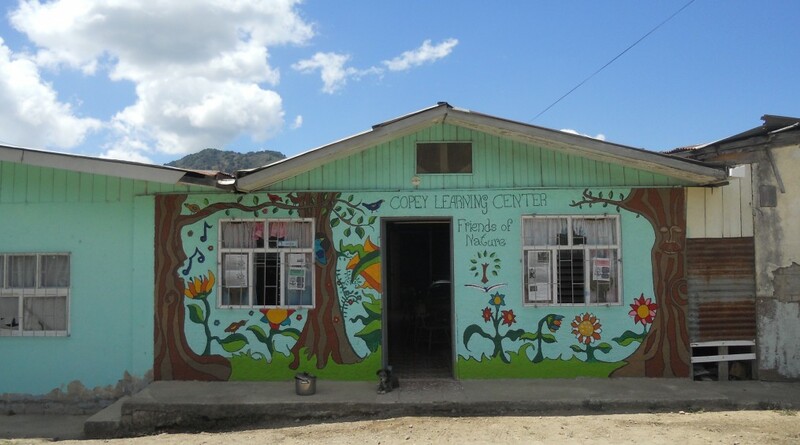 f) I will be making a formal “Friends of Copey” presentation to my Kiwanis Club in mid October for the purpose of updating members and introducing to others our involvement with the Learning Center. I regard this an honor to be the guest presenter and to have this opportunity to inform others about our work. g) Finally, there is still one or two developing actions not yet revealed. We continue to work on these and hopefully will be able to make an announcement soon. These two remaining two months will literally fly by and then we will be on the march to get back into our fund-raising efforts for the AGB Scholarship and other funding support. I know we will be busy but we will be striving to make a difference in the lives of kids.